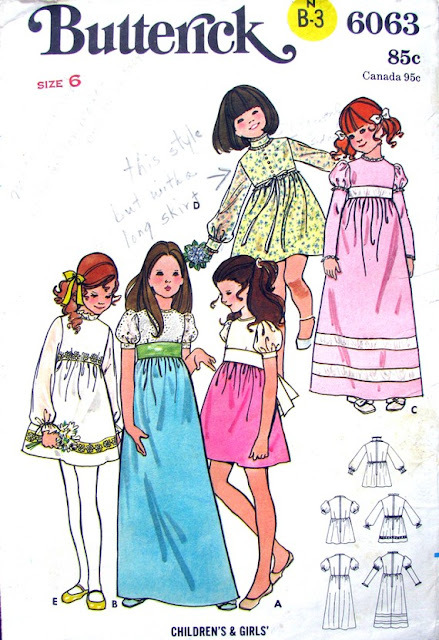 My version of dress C from this 1970s Butterick pattern. I remember owning a few of these floor-length everyday dresses as a child. I adored them, polyester and all. This one has beautiful details. I love the bartender sleeves. Pathetically, I started sewing this two autumns ago. It was too big then so I set it aside. Ahem. Done now! oh cynthia...it is preeeety! so much nicer than some of the commercial stuff you find in shops. This just screams Gunne Sax and Prairie Revival, love, love, love. I wore dresses like this in 1978. They were my favourite. Great job.